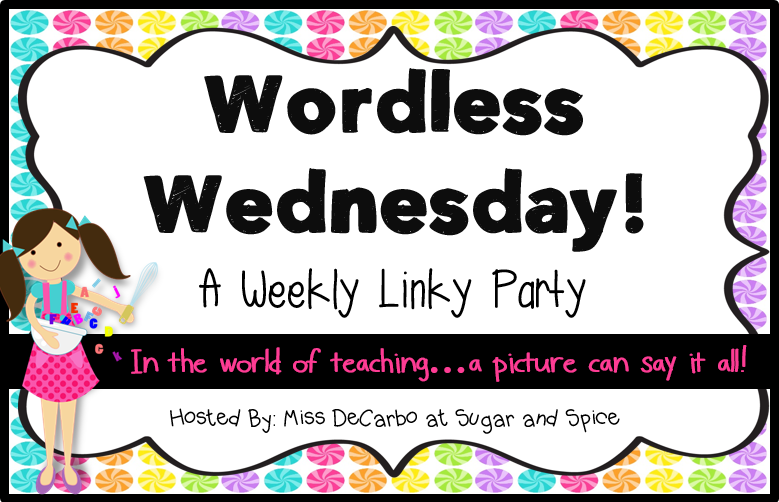 Just linking up with Sugar and Spice for Wordless Wednesday on a Tuesday night, because who can get up that early on summer break?! I love this link up, but it is impossible to not have any words. I have been trying so hard to relax this summer. My mind just always moves back to my classroom. I have a hard time remembering why I work so hard. Here are a few of those reasons. My son, turns 4 TODAY! Happy birthday to my sweet baby boy! He wrote his name yesterday! Obviously, it is not the prettiest, but I love it. He traced it and spelled it out the whole time. I am just so proud of him!! My hunny and I are trying to spend more time out on our deck to enjoy the summer weather. I am also trying to spend more time outdoors. I started bike riding and going to the pool more. Are you able to shut off your class brain? Or do you still work your class stuff into your relaxation time? I still work a little on school everyday so that I will not have as much to do when school starts. You mean there is an off switch? Happy Birthday to your sweet son! And no, I'm NeVeR able to turn my mind off of school stuff! 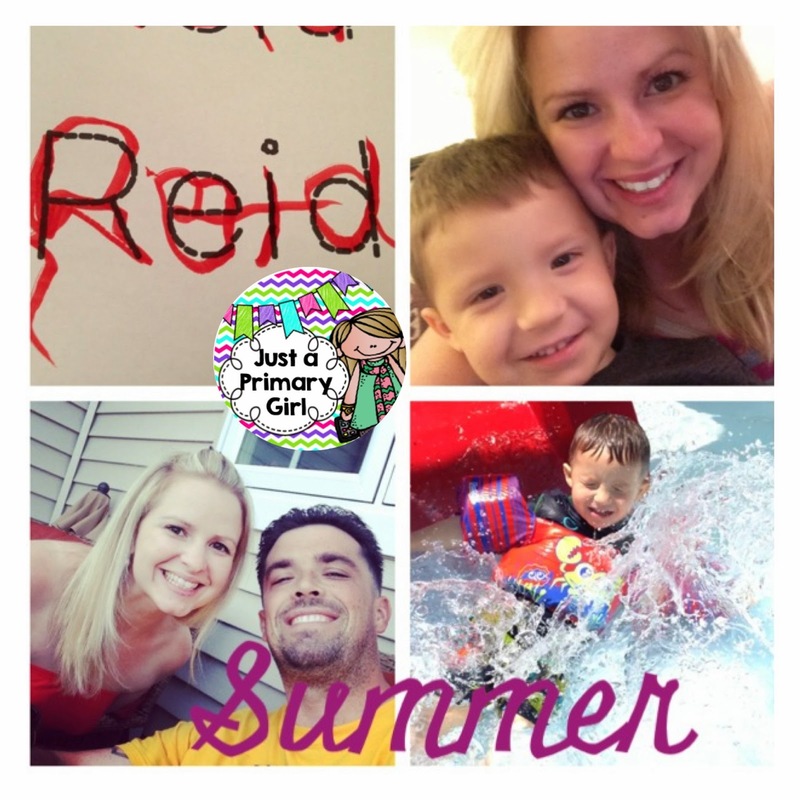 Happy birthday Reid!! I hope that you have an amazing day!! My brain never shuts off!! I am constantly thinking about something school related! Yesterday I even went to school real fast to drop something off!! I am glad that I have the downtime to work on school stuff now though, because we all know how crazy busy it is during the school year! Oh my word! I can't shut off my school brain at all. I was already working on next year's lesson plans the day we got out of school. Hopefully, I will get better at shutting it off someday! My brain never stops! I am always thinking "school" no matter where I am or what I am doing. In the summer I find working on school things to be relaxing though because I can do it on my own time and I know what I do in the summer will make the coming year a little bit better! I don't think my brain ever gets out of school mode (no matter how hard I may try!) Love the new look of your blog. Super cute! !